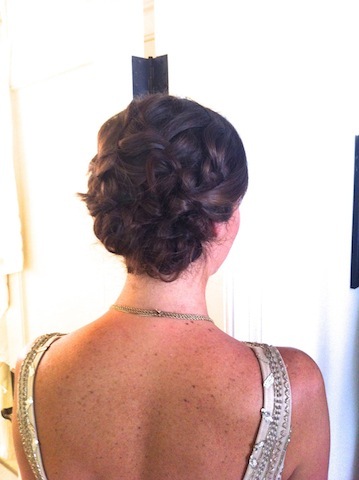 Are you looking for a simple but exquisite hairstyle for a special holiday party? 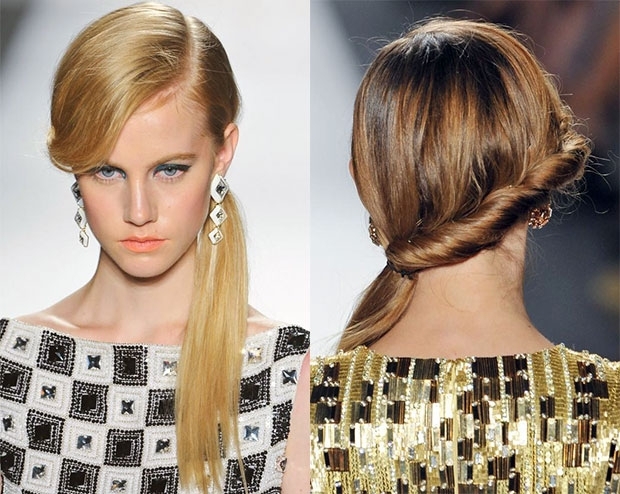 Try this look from Jenny Packham’s 2013 runway show found on fashionising.com, written by Izell Alzona. you will have better luck if the hair is NOT clean. second day is best. a very deep side part on whichever side is natural for you. on the heavy side, start to gather and twist as you go (like a braid) and secure with pins. Do not try to smooth the hair and make it look perfect. It’s best when it looks gathered and textured. twist and gather until you reach behind the opposite ear and secure with an elastic or a variation is to continue twisting down the ponytail and pin-up like a bun. I’m really inspired by braids and how they can be worn in all aspects of life and how they can transform a look from simple to intricate, innocent to wild or from elegant to avant-garde. A braid can be worn to work, a weekend at the beach, a night out on the town, and used in a wedding party or by the bride herself. They’re just fun. I like the idea of mixing different types of braids together and pulling the braid apart to deconstruct it for interesting textures. I also like the idea of using braids to create different shapes and proportions. So, experiment and have fun!